Category Archives for "Apps That Pay You"
Can you really get paid for being active… For the steps you take on a daily basis? It sounds like one heck of a strange concept, but with the Sweatcoin app you can… Or at least that is what they say. But is this the real deal and can you really make money with this or is the Sweatcoin app a scam that is just going to be a waste of your time? 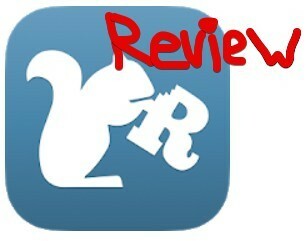 After coming across this app I knew I had to write a review on it to let others know what they're getting into. Yes, you really can make money by simply being active and doing what you already do, without changing your lifestyle or daily routine at all. 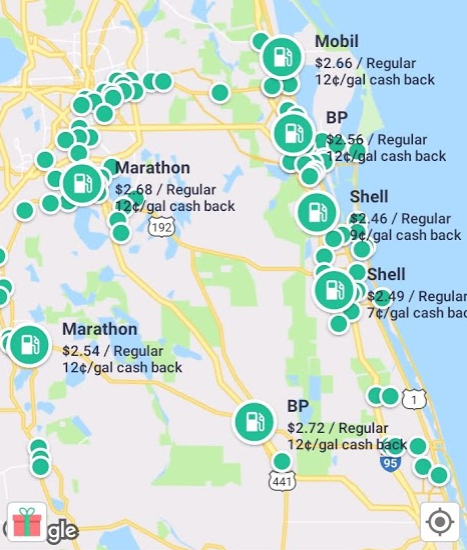 However, I see a lot of reviews out there acting like this app is the greatest thing ever and like you can make tons of easy money with that, when the reality is different. In my review here I plan on leaving no stone unturned. 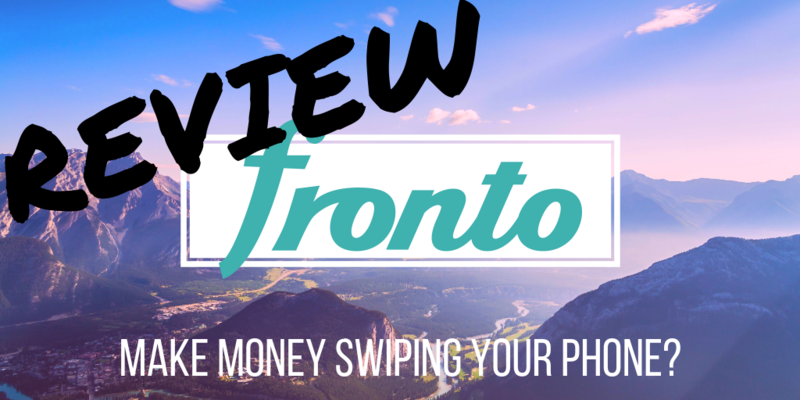 I will be going over what exactly this app is, how it works and how they pay you, using the app, how much money you can realistically make, rewards, complaints and more. I'll be going over the goods and the bads of the app in an unbiased approach. 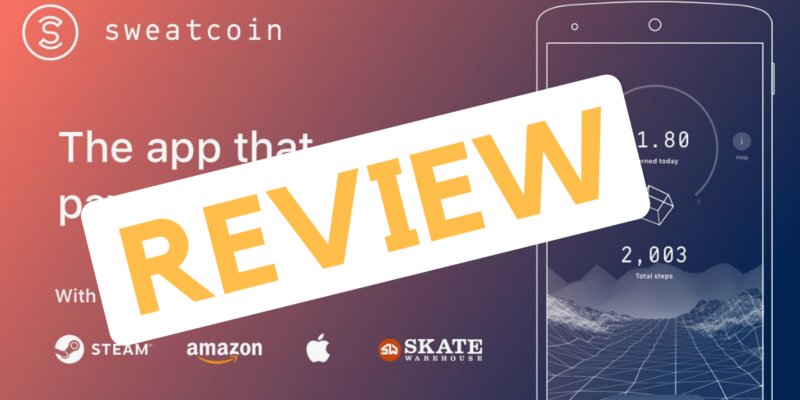 For some this app may be worth downloading and using, for others maybe not… After reading this review you will know whether or not it is right for you. What Is The Sweatcoin App? How Can They Possibly Pay You For Being Active? Conclusion: Is This App Worth Your Time? 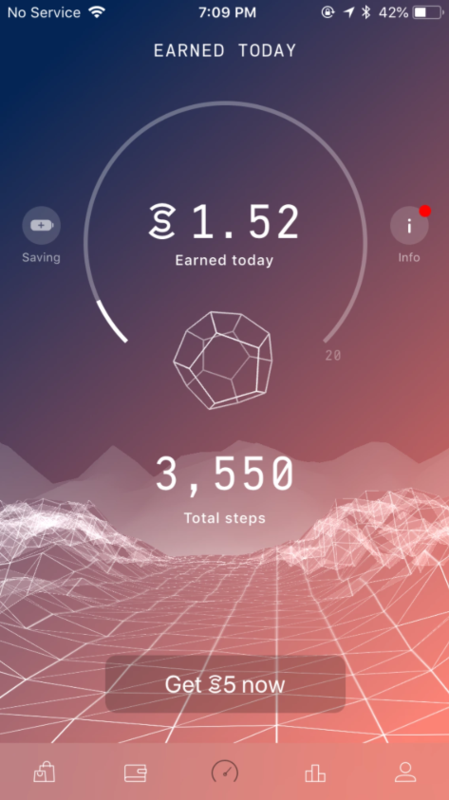 The Sweatcoin App is a very innovative new app that is free to use and rewards its users for being active, whether it be walking around, jogging, playing sports, etc. It is not like you actually have to be "exercising" as you may think. One can simply go about their normal daily routine and be rewarded for the activity they are involved in. And if you want to pick up the pace, you can make it exciting by competing against your friends within the app… Working competition and pushing towards a healthier future. The app measures your activity by measuring your steps taken, just as a pedometer does. 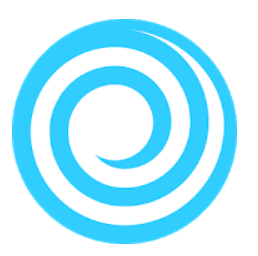 For each step taken that is verified to be legitimate you are rewarded with a certain amount of Sweatcoins, which is the digital currency that keeps this app going, which is something that they made up and it does have value because you can use these Sweatcoins to get rewards of real value. The reason this app is becoming so darn popular so darn fast is because of the obvious, people can make money without doing anything extra in their lives… Simply by downloading an app. You will going to do the walking around that you normally do regardless, so why not get paid for it? But how does this actually work? It is one heck of a strange concept to even imagine that they can pay you for being active. Don't worry… I will go over how it all works next because I know everyone is probably wondering this and thinking that this has got to be a scam. The big question, how can they possibly pay people for exercising or being active? This is a question I knew I had to look into because after coming across this app it made no sense to me either. However, they are actually paying people and that money has to be coming from somewhere, but where? Well... For starters, according to this article, the app has received over $6 million in funding which helps to increase the value of Sweatcoin. Investors see the value in the app and things could get better for the app and people using it. The reason this app has value is because it provides a platform for manufacturers in the health niche to promote their products on, and I guess not just in the health niche because you also see a lot of other products being promoted here that really have nothing to do with health. 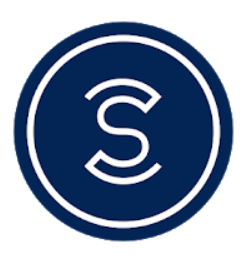 When I talk about the products being promoted, I am talking about the different products that you can spend the Sweatcoins you earned to get, which have real value. But I will get more into all of this later on in the review. How it works is like this, companies are willing to give away gadgets, free trial services, and all sorts of discount items if it means they are possibly going to get good exposure and it will lead to more sales down the road. It is all about promotion and advertising. Competition among companies promoting their products on the Sweatcoin platform create some healthy competition that leads to better available rewards. To be honest, it is still a bit confusing to me, but I do see that this app as real value and is able to make money, which it uses a portion of to reward its users for being active. So basically the app works just like a pedometer… It tracks your steps and you get rewarded based on the number of steps that you take. If your device has a built-in pedometer than it will use that, but if not it will use Google Fit, which is what most people's devices are probably going to be using. After every 2000 steps, the app will send the data into be verified, although you can force send the steps to be verified sooner. There is an anti-cheat algorithm in place to make sure that your steps are legitimate (there are some problems with this that I will talk about in the complaints section) and for every 1000 verified Sweatcoin steps you are given once Sweatcoin, minus a 5% commission. Most people using this app are probably going to be free members, which will place a daily cap of 5 Sweatcoins that they can earn, which may not sound like much but it is plenty. Using the app really couldn't be any easier, or at least I don't see how it could be. After installing the app and getting things set up, which doesn't take long at all, it will simply run in the background and there is really nothing you have to do. When you open up the app you will see a very simple layout as is shown in the screenshot below. It will show you the total steps taken for the day and the total Sweatcoins earned, which are the result of your "Sweatcoin verified" steps, which are the steps that have been verified to be legitimate by the anti-cheat algorithm. Really you don't have to do anything at all, besides of course taking steps as you normally would on a daily basis. The app runs silent in the background and the steps you take are automatically sent to be verified every so often, so really all you have to do is keep doing what you are doing and maybe monitor it every once in a while to make sure things are running smoothly. While a lot of people are promoting this app as some amazing way to make cash on the side, I'm going to give you the cold hard reality here and tell you that you will not realistically make much of any money with this. The people that you see acting like this is some newfound path to financial freedom are just promoting it to make some extra money, or at least that is how it usually seems to be. The fact of the matter is that you will not make much… Even if you do a heck of a lot of walking on a daily basis. You see, there is a difference between the total number of steps taken and "Sweatcoin verified" steps. One of the big complaints about this app is that the step tracker is not all that great and I have never seen anyone who even comes close to being rewarded for all of their steps taken. Not only does the step tracker not work all that great, but Sweatcoin is a real stickler when it comes to verifying the legitimate steps. Their anti-cheat algorithm really doesn't seem to be all that great and often times seems to cheat the people who really are taking legitimate steps instead of stopping those who aren't. That said, they do help people out a bit by giving things like the Daily Bonuses, which are bonuses that you can earn 1 Sweatcoin from simply by clicking a button to claim the bonus. You will then be directed to watch an ad or something along these lines in order to get your bonus. However, you have to be quick at this because if you wait too long you will get the message of "Sorry, all of my Daily Bonuses are attending other users. Please come back later!" This bonus is reset 5 hours after you claim it so if you do get this message you shouldn't have to wait long. Just like pretty much any app out there, there is a referral program where you can get rewarded for referring other people to use the app. You get paid 5 Sweatcoins for every successful referral you bring in. That said, it's not like you can just start referring in a bunch of dummy accounts and get credit for them. The referrals you bring in will be verified to be real and legitimate so you can't really cheat the system here. If you want to help me and my site out so I can keep writing honest reviews like this, you can join with my referral link here. This will not cost you anything but will help me out. As I talked about earlier, companies promote their products/services here and this is partly how the Sweatcoin app makes money to be able to pay you. You can find all sorts of various rewards here, including things like workout gear, trial services, PayPal cash, gadgets, etc. But the available rewards change and I think they even vary depending on your location. Right now there really aren't all that many rewards available, but in the future I think there will be a lot more companies promoting through this app. And besides, as long as there is some form of cash available, whether it be via PayPal or direct deposit into your bank account, that is good enough for me. And yes, some of these rewards are extremely expensive and may seem far out of reach. However, for some rewards you can actually pull your money together with friends to get rewards you wouldn't be able to afford on your own. Now on to the section you have all been waiting for, the complaints. You might want to grab a snack and to sit back for this, because there are a fair number of complaints that I will be going over, all of which I think are worth mentioning. As you already know, it takes a while to earn Sweatcoins. I mentioned that most people don't even come close to getting credit for all of the steps they actually take, and many of the rewards are very expensive which means it will take forever to earn enough. This is a complaint, but then again… This app is free to use and you are getting paid to do something that is healthy and that you will be doing regardless. Of course this depends on what reward you are going for, but yes many of them you will have to pay shipping on. It is not like Amazon prime where you can get free 2 day shipping. But this makes sense… Making the customer pay for shipping is probably how it should be. We are just getting to used to awesome services like Amazon. The app does take 5% commissions out of the Sweatcoins that you earn. Some people will complain about this, but I don't really see 5% being all that much. Anyways, it is what it is. This is either the number one complaint out there, or it is in a tie with the next complaint I will go over. The step count is off! How annoying is that? You take a certain number of steps in the app claims that you have taken less steps than you actually have. There have been plenty of people who have actually counted their steps or have used good quality pedometers to notice this difference. It appears that if you are walking slowly the app might not give you credit for the steps. And after having less recorded steps then you actually talk, your steps still need to pass through the "anti-cheat" algorithm in order to become verified. This will whack off another portion of the steps you talk… Because they won't be considered "Sweatcoin verified steps". There are a a lot of people complaining about this "anti-cheat" algorithm, claiming that it is just cheating the people who are actually taking legitimate steps and not trying to cheat the system. I have read reviews from people claiming they have taken as much as 6000 steps, yet having gotten verified for 1000 of them. Now of course I have no way of verifying these claims and it could be completely understandable that these people are getting credit, but I think is worth mentioning. The app clearly states that it only converts GPS-verified outdoor steps, not indoor steps. It tells you this after you install the app and open it for the first time. I am not sure the reason behind this, but it is definitely a downside. That said, I see a lot of complaints from people who are mad about how they walk around all day at the office and don't get credit, or work at at some restaurant where they walk in insane amount each night but don't get credit. Well of course you are going to get credit… This walking is all done inside and it clearly states that you will not be getting credit for indoor steps. As you can imagine this app takes a toll on your device's battery, as any app will when it is running. Now it doesn't drain your battery like crazy and I guess I would consider it inefficient app, but it does take a noticeable toll on the battery and this can be a bit annoying. Most of the people calling the Sweatcoin app a scam are those who have not gotten credit for the amount of steps they have taken and are frustrated. Many of these people probably have gotten screwed over by the "anti-cheat" algorithm and many others probably just aren't using the app correctly, but whatever the case they feel cheated. I understand that there is definitely a lot of room for improvement with this app, but in no way do I see it being a scam. There are people who are using this and are getting paid… Simple as that. It would be hard imagining that a scam could possibly raise over $6 million and have legitimate and trustworthy companies providing their products on it... Definitely not a scam. But just because it is in a scam doesn't necessarily mean that it is worth your time. Some people are going to benefit much more from this app than others. It is obvious that a teacher walking around in school hallways all day is going to benefit far less than a landscaper who is constantly walking around outdoors. But again, you could look at it in the way that both people are getting paid for doing what they are going to do regardless. Even the schoolteacher is going to walk outside at some point, or at least I would think so. I personally think this app is pretty darn cool and it is something that I recommend. I would at least recommend giving it a try and seeing how much you can earn. You never really know until you try and since it is free, you have nothing to lose. Download the Sweatcoin App here to get started! Is getting paid to be active not for you? Then check out the Ibotta app. It is a cash back app that pays you to shop, which you are going to do regardless. I know... it's a lot different from Sweatcoin but I think it is something you might like. Can you really make money by downloading and playing games with AppLike? Sounds pretty cool… But if it is true… is it worth your time? Or is AppLike a scam that is just going to be a waste of your time? Well, I’ll get straight to the point here and tell you that… No this app is not a scam and you really can make money by downloading game apps and playing them. HOWEVER, although this sounds amazing this is still not an app that I would recommend for everyone. You will see why in this review. AppLike is an app that pays you to download other apps… Sounds pretty strange right? Well actually it is not. There are several other apps out there that do exactly this that I am aware of, such as AppKarma and Pocket Flip, and probably many more that I am not aware of. which is why I don’t recommend this app for everyone. The first step of the process would of course be to download the AppLike app. This app is going to provide you with a list of different game apps that it thinks you will like. 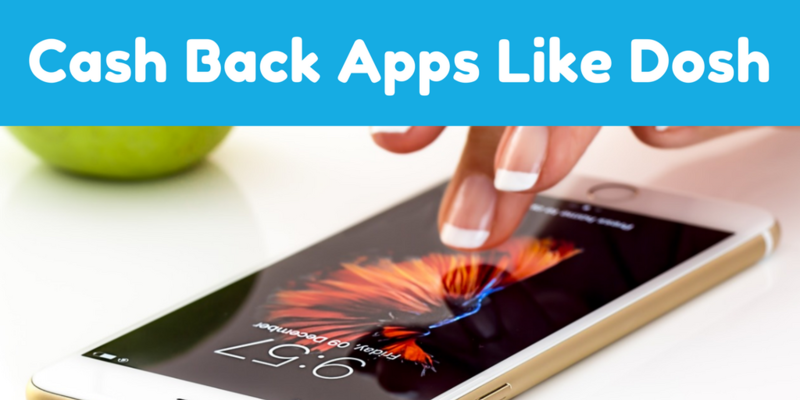 The more you use it the better it will get at recommending apps based on the previous apps that you have used. It will learn what type of game apps you like and scour its list of apps for ones that are a good fit. So hopefully besides just making a bit of extra money you will also find some fun games to play in your spare time. You will be able to pick and choose what apps you want to download and play from the list it gives you. There is no obligation to pick any certain app and the list will be updated regularly. First up you’re going to have to download the app, or apps, that you want to play. Nothing special here. And like I said, you can choose whatever you want and if you don’t see anything you like, you can just wait and come back another time to see if there are better choices. You will earn mCoins for downloading apps. This is their form of currency and you will be able to redeem these for things of real value after you get enough. By playing the different games you will be able to earn more mCoins. The longer you play, the more coins you get. I was reading some reviews recently and it seems that you will make around 250 mCoins per minute that you play game, but this could vary depending on the game… I’m not completely sure. You can also learn more mCoins by referring others to AppLike. I’ll get more into how much you can actually earn doing this in a bit. And finally you will be able to redeem your mCoins for various different gift cards or you can get real money via PayPal, which is pretty much always my choice if it is a choice. The gift cards are good though. There is the choice of Amazon, CVS, Walmart, iTunes, restaurants like Burger King and Chipotle, and more. While you can make real money with this app, which almost seems crazy at first, don’t get too excited because you will not be making very much at all, which is why only recommend this app to people who like to play games like those that are recommended in the first place. In order to understand how much you actually make, you first have to know how much one of these mCoins it is worth, and unfortunately it is not much. It depends on what you are redeeming your coins for, but they are generally worth around $0.0001, which means that you need 100 of them just to make one cent. The amount you will actually be able to make will depend on many different variables, but generally speaking you can probably expect to earn less than one dollar per hour by downloading apps and playing them. You can boost your earnings by referring other people to use AppLike. You get a referral bonus of 250 coins when you refer someone else to download the app, and you also get 25% of their earnings for life. So this definitely has the potential to allow you to earn a lot more. If you get a lot of active referrals in their playing games and downloading like crazy, you could earn a heck of a lot more than you could by yourself. That said, I still wouldn’t expect all that much. Besides offering some good options that you can redeem your coins for, it is also nice that you only need to reach a minimum of a $0.50 balance in order to redeem your coins. A lot of similar apps out there require you to reach a threshold of $10-$15 which can take weeks or even months, so it is definitely nice to see the ability to be able to redeem points in a much shorter period of time. If you want to cash out $0.50 via PayPal, then you would need 4999 coins to do so. If you want a gift card, they start at $2.50 and you will need somewhere around 24,250 coins. So as you can see the value of these coins varies slightly depending on the reward, but generally speaking the value of each coin is around $0.0001, as mentioned above. One thing that always like to do when reviewing apps like this is to look around at different user reviews, such as the many reviews on Google play. Now of course you can trust all them, but sometimes they do provide some helpful insight. I’ve read several reviews from people complaining about payout problems, which is a big deal. Some people claim that when they go to cash out, it remains as “pending” and never fully goes through, yet the coins have been deducted from their account. I’m not sure what’s going on here, maybe it is a glitch… Who knows. Of course one common complaint is that it takes forever to be able to make any noticeable amount of money. And lastly, a personal complaint of mine is that I think there could be some fake reviews on Google Play. 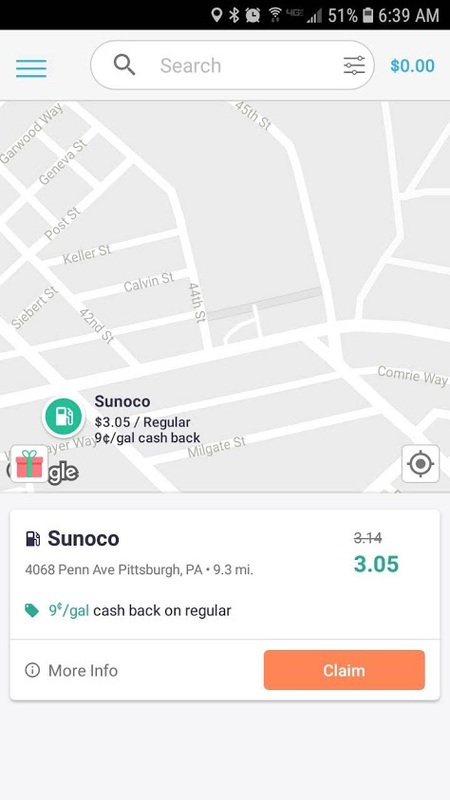 Now I’m not 100% sure on this, but I have seen this plenty of times before and it just seems to me that many of the reviews ranting and raving about how great this app is seem to be fake. I don’t know… This is just my opinion, but it is worth mentioning. While there is a noticeable amount of complaints, you will find this with any app out there… No matter how good it is. 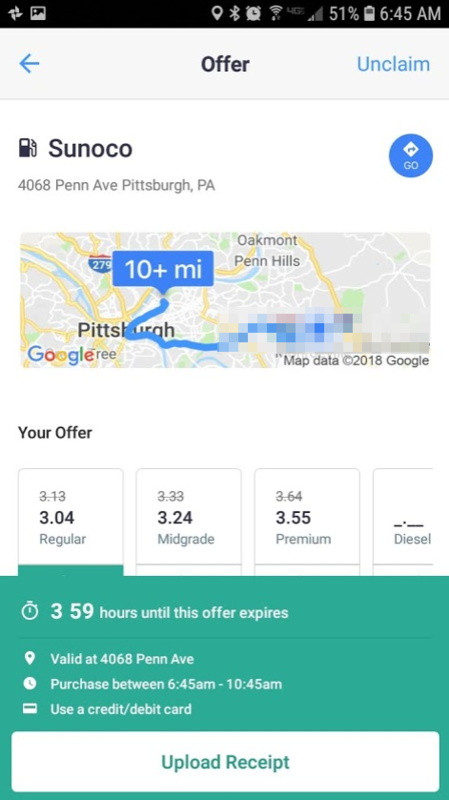 Is this a scam? As I said in the beginning, I definitely do not consider it a scam. There are plenty of people out there who have used the app and have gotten paid as they were supposed to. But, as I’ve been saying… This is definitely not something I would recommend for everyone. I’d only recommend AppLike for people who actually like to play games in the first place. If you are interested in making money and that is it, this is definitely not something for you. You’re just going to end up frustrated and with little money to show for the time you put into it. If you are someone that likes to play games, then go for it. Think about it… This app is recommending games to you that you might like based on your previous activity. You might find some really fun games that you wouldn’t have found otherwise. Of course there are always GPT (get paid to) sites out there, like Swagbucks and FusionCash, we can get paid to perform small tasks, complete offers, take surveys, etc.… But those don’t really pay much either. Comments or questions? Leave them below and I’ll get back to you as soon as I can 🙂 I’m also interested to hear what your opinion is on the AppLike app. If you are looking to make a little bit of extra money on your phone or other mobile device then Zap Surveys app is one of the options that you have. But is this paid survey app a good option? Or is Zap Surveys a scam that you should avoid? There are plenty of different paid survey websites and apps out there that you can use to easily make a bit of extra money, although not much. The point is… There are a lot of options and you definitely are not forced to to join Zap. 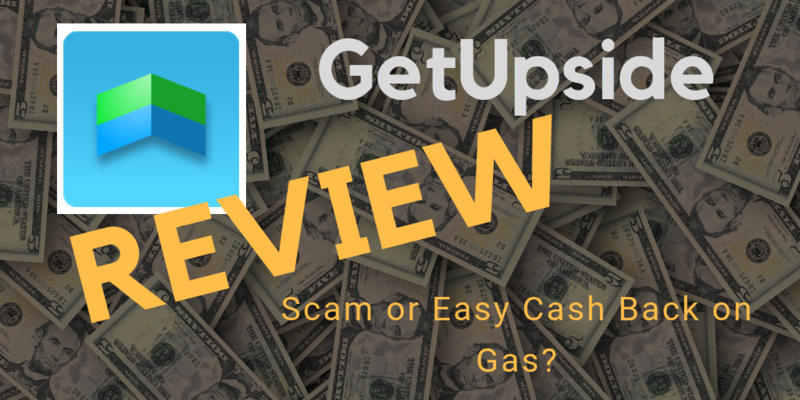 In this review I’ll be going over how Zap Surveys works, which includes all different ways you can make money, how you receive your payouts, complaints and more. Zap Surveys is a free application that can be downloaded to any iOS or android device in which just about anyone can make easy money taking paid surveys. Unfortunately there is no website interface, which means that you cannot take surveys through them on a desktop computer… You have to use the app. That said, the app is well put together and is very easy to use. No one should have a problem navigating around the app and doing whatever they need to do. All in all this paid survey app isn’t anything amazing when it comes to making money. Sure… It is easy to make money taking paid surveys, but you will not make much for your time. However, on the upside, Zap Surveys actually donates money to help and child starvation across the world for each bit of money that users earn taking surveys on the app. This is something you certainly don’t see all too often and I’m a fan. When you first join this is when you are going to get rewarded the most. They reward you very generously for the first survey that you complete, which is your profile survey. But don’t get too excited yet… You will earn about $6.25 for the first survey, which is only around 10 minutes, but you will not be able to cash that money out right away. You see this pretty often with paid survey sites. They give out a little bonus in the beginning to give people more of an incentive to join in the first place. The first survey that you will take, as I said, is a profile survey. You will have to fill out information dealing with your demographic, such as income level, age, gender, education level, etc. If you fly through this survey you’re going to regret it. It is important that you fill out this accurately because they will use this information to match you up with surveys that are a good fit for you. 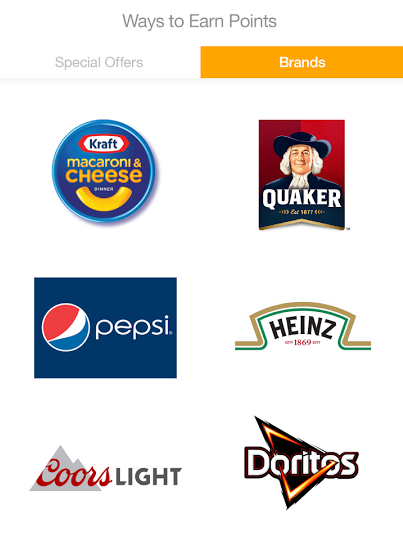 Each of these brand research companies are pretty typical. In fact I am familiar with all of them because I have seen surveys put on by each of these guys on other paid survey sites, such as Swagbucks. None of them are amazing, but they are all legitimate and will pay you. One thing that is really nice about the Zap Surveys app is that you can see ratings that other survey takers have left for certain surveys. This way you will be able to avoid surveys that are maybe not worth your time at all, or the just have a bad rating for one reason or another. Besides survey you also be shown the estimated time and the amount of money you will earn from completing it. 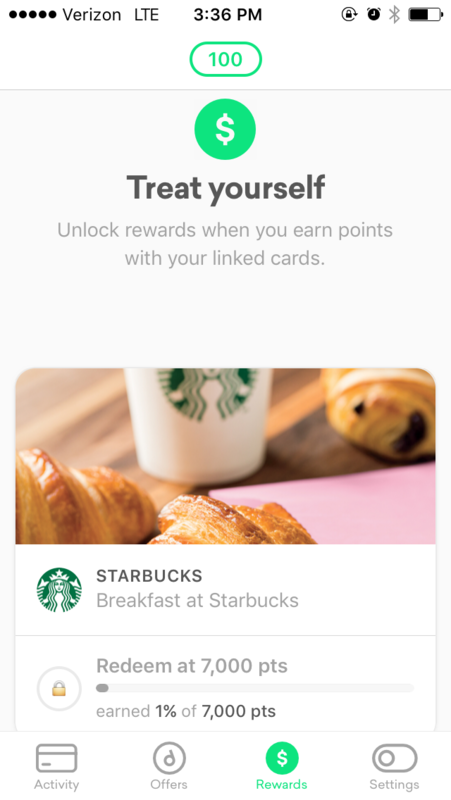 The app also has what they call “location rewards”, which is when you get rewarded just for being near or in certain stores. Zap is partnered with a bunch of different stores/restaurants and they help them advertise promotions that are going on. 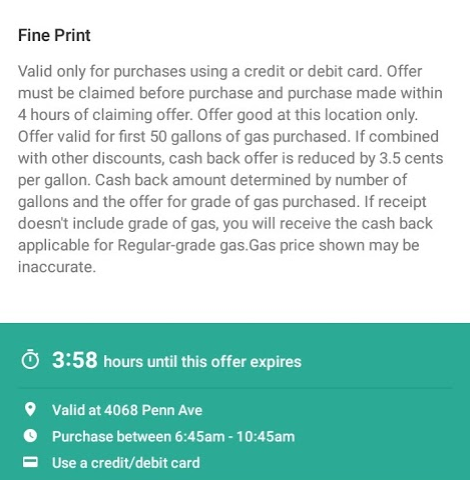 So when you are near a store/restaurant that has a promotion going on, Zap will notify you and all you have to do is open up the notification to get your reward, which is $0.25. It is not much money, but you literally just have to look at the notification… You don’t have to act on it. Also, you don’t actually have to have the app open to receive these notifications which makes things a bit easier. Some of the different stores/restaurants that you may receive notifications from include Walmart, Home Depot, McDonald’s, and many others. Oh… And by the way, you need to allow the app to track your location to be able to receive these location rewards. You will also be able to get entered into sweepstakes drawings, which usually have multiple winners that get between $5 and $20. Before you can cash out you will have to have a minimum of $25 in your account. This is why I said you will not be able to cash out when you are in that first nice chunk of money from completing your profile survey. It is a nice little bonus, but you will still have to make it to $25 before you can cash out. Once you reach the $25 minimum you will be able to receive your money via PayPal or Amazon e-gift cards. I was reading through bunch of comments/complaints about this app and saw quite a few people complaining about not having any surveys in their location. This is because brand research companies only look for people’s opinions in certain areas, where the brands they are conducting research for are more heavily marketed. So if you live in less developed areas, you may not receive many survey offers. With a Cash Out minimum of $25 I knew that they were going to be people complaining about this. Every survey site has a minimum Cash Out amount, but $25 is pretty darn high and it will take you a good chunk of time to reach this minimum. Getting disqualified from surveys just comes with the territory. You will see complaints like this for every single paid survey website out there. The likelihood that you will get disqualified depends somewhat on the survey provider. Peanut Labs, for example, offers fewer surveys but they are more targeted, whereas Tap Research offers a lot more surveys but there are ones that are more untargeted and you stand more of a chance of getting disqualified from one of them. If you are looking to take a survey from Tap Research make sure you filter the surveys by “best match”. This will bring up the surveys that are the best match for you first. Also, as I mentioned earlier, the more accurately you fill out your profile the less likely you are to disqualify from service. Another downside to this app is that there onto many ways to make money. Besides taking surveys, you have the location rewards but that isn’t going to earn you much, nor will anything else. There are other paid survey sites out there that will pay you to do a number of different things, such as surfing the web, playing games, etc. Okay… So is Zap Surveys a scam? I hope you can see by now that is definitely not a scam. This is a legitimate survey app and you really can make money taking easy paid surveys through this app. However… Just don’t expect to make all that much. I find the reason that some people are calling it a scam is because they are disappointed in how much they make, but I know that you can expect much from paid surveys in the first place. Overall Zap Surveys is a nice little app that you might want to give a try, but when it comes to taking paid surveys like this I would probably recommend Swagbucks or Fusion Cash first. They have both been around for a while and offer more opportunity to earn money. I have been making money online since 2015 and make a heck of a lot more than I ever would be able to taking paid surveys. The reason I am telling you this is because what I do is something that can be done in your spare time, just like paid surveys, so I figure some people might be interested. Can you really make money with the Zwerl app or is this all a scam? If you are interested in making extra money online in your spare time and have a fair amount of knowledge in any particular subject, then this app might be of interest to you. It gives people the ability to make money providing answers whenever they want to. In theory it sounds like a great choice but is it really as great as it seems? That is what I intend to answer for you in this review. I will be going over how the app works, requirements for becoming an expert, how much money you can make, complaints and more. Zwerl is what you call an “instant experts” app. What it provides is an expert service where people can ask questions on any topic they want and receive answers in a timely manner from experts on the particular subject. There are other expert answering services out there as well, such as Just Answer, so this is not something that hasn’t been seen before. There are two types of people that are using this app: experts and the people asking the questions. Normal users that are asking questions will have to pay a monthly subscription fee for their services and the experts will get paid for providing their expertise and helping out the users by providing answers to their questions. So basically how this app works is it provides a platform for users to be connected with experts. Users ask questions about whatever they want and are matched up with experts that can hopefully provide them with the answers they are looking for in a timely manner. There are many different categories which is one of the great things about this app… You can potentially find answers in just about any topic and/or providing answers for just about any topic. This app is really for anyone who once to use it. Everyone has questions at one point or another and with an app like this that provides access to experts on pretty much anything, anyone should be able to find it beneficial. In particular it seems that instant expert services like this are popular among students. On the flipside this app might also be a good choice for someone who thinks they have expert knowledge in a particular subject and are looking to make some extra money online in their spare time. Well of course you are going to need to be knowledgeable in your particular field of choice. They Will give you assessment tests that you will have to pass in order to actually become an expert. Besides being knowledgeable you will also need to be fluent in English so that you can communicate effectively with users and you have to be good at typing. I have seen these expert positions being advertised as providing the potential to make $8/hr but I’m not completely sure whether they actually pay on an hourly basis like this or if this is just an estimate. There is a lot that is still unclear to me about how getting paid works. One thing that I was able to find out was that they pay via direct deposit or through PayPal and they do so on a monthly basis. It is also very important to note that the potential amount you will be able to make will vary greatly depending on your area of expertise. Some topics are in higher demand than others which means they will be more questions being asked and more opportunity to answer them and make money. With some topics there will also be much more competition from other experts answering questions which will also affect the amount of opportunity available. The fact that you can work whenever you want is something that is very luring to many people out there looking to make some extra money online. However… Just because you are able to work whenever you want and set your own schedule doesn’t mean that you are actually going to want to do this. What you will find is that you will have to work according to the demand for answers, which will probably differ depending on what topic you are an expert in. For example: if you are an expert mechanic then the highest demand for answers would likely be during the day when people are working on their automobiles, whereas if you are an expert in a common school subjects such as chemistry the demand might be higher during later hours of the day when students are completing homework and assignments. Now I’m not saying that this particular scenario is true but I do know that the demand will differ depending on what you are an expert in. You can’t just work whenever you want because there might not be any work to be had at particular times. Most of the complaints had to do with there being glitches with the app, or the app not working properly in one way or another. These include things like not being able to ask questions, answer questions, open up the app, etc. These complaints should be taken seriously but it is also worth noting that these are easily fixable. As long as Zwerl it’s a good team of developers working behind the scenes on the app then technical problems like this should be easily fixable. There were actually a couple complaints I found claiming that the stopped paying after a few months. Now whether or not this is true is unknown to me, but it is definitely worth mentioning. Of course the main point to becoming an expert for the majority of people reading this is to make money and if you aren’t going to be making money then there’s no point. Of course this depends on what particular area you are an expert in. Like I said, the amount of opportunity available to work depends on the amount of people asking questions in that particular area, which will vary a lot. There might be very little work for some people but then plenty of work for others. This is a legitimate complaint but if you’re going to be an expert in some strange topic that little people have an interest in, then you cannot really expect much. Apparently there is a time limit on the chat which only allows you to be chatting back and forth for two hours. This is a problem because some questions people may have will require more than two hours to answer properly. This could be due to any reasons, such as having to perform research or answering other questions that have stemmed from their original question. Final Thoughts on Zwerl – Worth Joining? First off, no Zwerl is not a scam. They do provide a legitimate expert answering service and you really can make money as an expert working through the app on your own time. That said, there is a lot of room for improvement on this app and I would not recommend becoming an expert to everyone out there. An instant expert Like this can potentially provide a nice way to make a small amount of extra income on the side, but it will not provide the opportunity to make anything substantial by any means. So if you are looking into this as a way to make reliable income I would recommend against it. What I would recommend to anyone looking to get involved as an expert with this app is to start out with very low expectations and find out what is possible. The amount of opportunity available will vary greatly as I have mentioned over and over again, so you first are going to want to test out the waters to see what potential there is in your particular area of expertise. 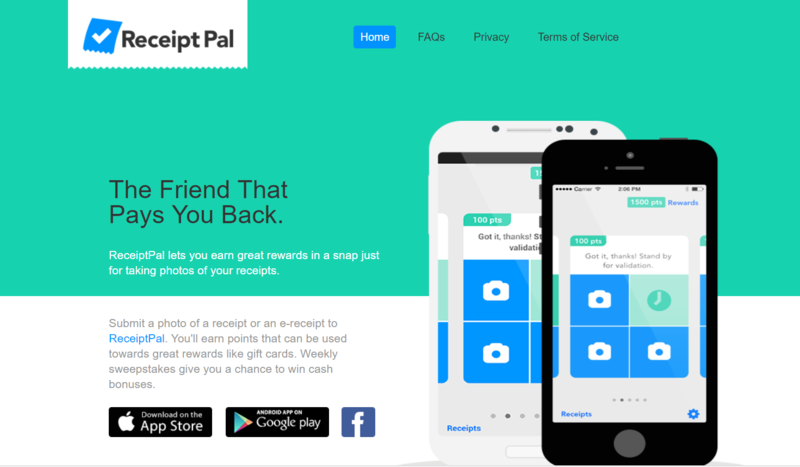 ReceiptPal is an app that pays you to shop… in a way. 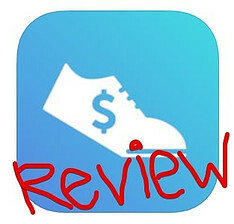 But its much different from other popular cashback apps out there and actually its not even considered a cashback app. So what the heck is it and is it worth your time? Is ReceiptPal a scam that you should avoid? In this review I’ll be going over all you need to know about ReceiptPal including what exactly it is, how it works, complaints and more. ReceiptPal is an app created by The NPD Group that pays you to upload your receipts. Now you may think of popular cashback apps like Ibotta when you hear this, which pays you cashback to buy certain products, but its actually very different. ReceiptPal is not a cashback app. Their purpose is not to promote different products or brands. Instead, they are interested in product research. The purpose of this app is to collect shopping data so that companies can use it to make better product/services… which makes them market research focused. The outcome on your end is the same however… you get paid to shop in a way. You will be able to snap a photo of your receipt within the app. This is easy to do. If you do not have a physical receipt because you purchase something online or just had the receipt emailed to you, then this is even easier. You are able to give ReceiptPal permission to access your e-receipts from your email that you signed up to ReceiptPal with. This is done automatically. That is really all you have to do. Now you just have to wait until the receipts are verified and you are given credit. You will be credited in the form of points which can later be redeemed for rewards (which I’ll go over). What Type of Receipts are Accepted? You can upload receipts from any merchant. So clothing stores, gas stations, hotels, restaurants, etc are all allowed. On the receipt there just must be a date, the merchant name and the total price, which any normal receipt will have. Utility bill receipts are not accepted however. So you can’t get credit for paying that gas or electricity bill. The same goes for things like paying for car insurance, internet, cable, etc. In order for a receipt to be accepted it also must be submitted within a week of purchase or by the 3rd day of the following week. So you can’t stockpile a bunch of receipts and upload them at once… you have to consistently upload them on a weekly basis. As I said, you will get rewarded in points which can be redeemed for rewards once you get enough. The different rewards you can get include gift cards, donations, and sweepstakes. 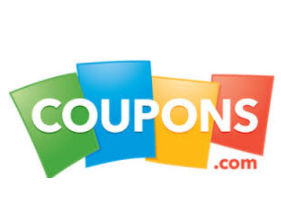 You will automatically be entered into sweepstakes drawings when you submit receipts. When you get the app and sign up you will be credited with 150 points as a signup bonus. Then after that you will get 100 points for every 4 receipts that you submit. With ReceiptPal you can’t just go uploading tons and tons of receipts. They have a limit in place where you can only upload 12 per week, which means it is impossible to make much with this app. You have to upload your receipts within a week of purchase or by the 3rd day of the next week as I mentioned. This new rule has made a lot of users upset because they would wait longer and upload a bunch all at once. But I understand that it may be easier on ReceiptPal’s side if everyone does this and I don’t think its a big deal. There are a fair number of complaints about the app just not working properly, such as trying to submit receipts, it failing and the user then having to force the app to shut down. So the complaint above was about the app encountering technical problems where it wouldn’t let people submit their receipts. However, there are also a number of people complaining about ReceiptPal flagging and rejecting perfectly fine receipts claiming that there is some problem with them where they cannot be accepted. Going along with this there is also a trend where I’m seeing people complain about their e-receipts not being picked up by ReceiptPal for no reason. 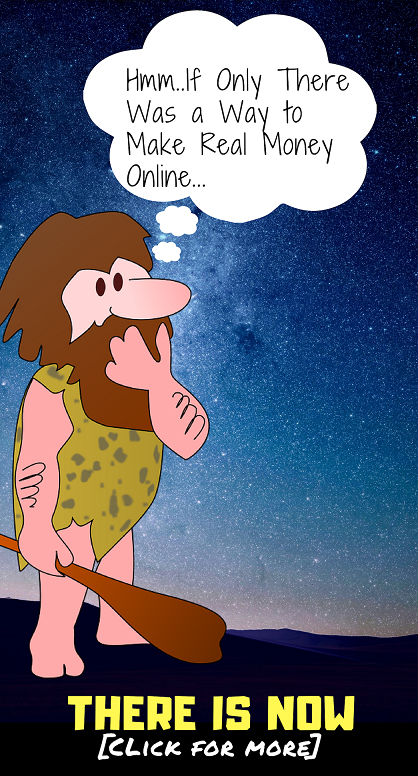 People claim that they are doing everything right and that they never used to have these problems until recently. You can earn rewards with ReceiptPal and it is easy. However… there are a lot of users recently that are saying this app is going to be deleted off of their phone after they are able to redeem their next gift card. The overall opinion seems to be that this app is going downhill. They are imposing more and more restrictions and just making it much more difficult for the users to get credit for their shopping, which is almost certain to end badly as far as I see it. The ReceiptPal is definitely not a scam by any means, and its still a pretty cool app, its just that older users are disappointed that things are getting more difficult for them and less rewarding. Something else you might be interested in is taking a look at the Ibotta app. 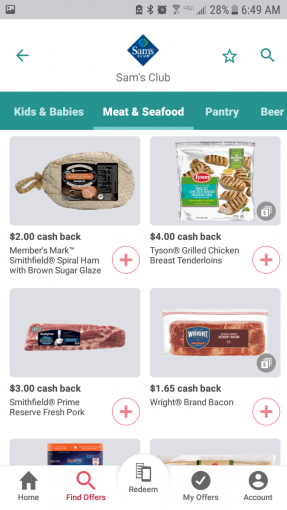 Its a cashback app that pays you to upload receipts of certain products. Also if interested be sure to check out this program I use to make money online. I’ve been a member since 2015 and make very good money with it.